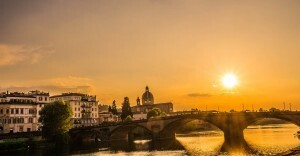 When visiting the overwhelming Uffizi Gallery, make sure you “survive” until the very last part of the collection. People not guided by a professional often do not realize that, few steps away from the Museum exit, they’re going through one of the most important rooms, dedicated to Caravaggio with three wonderful paintings: Caravaggio Bacchus is one of them, the other two are Medusa and the Sacrifice of Isaac. 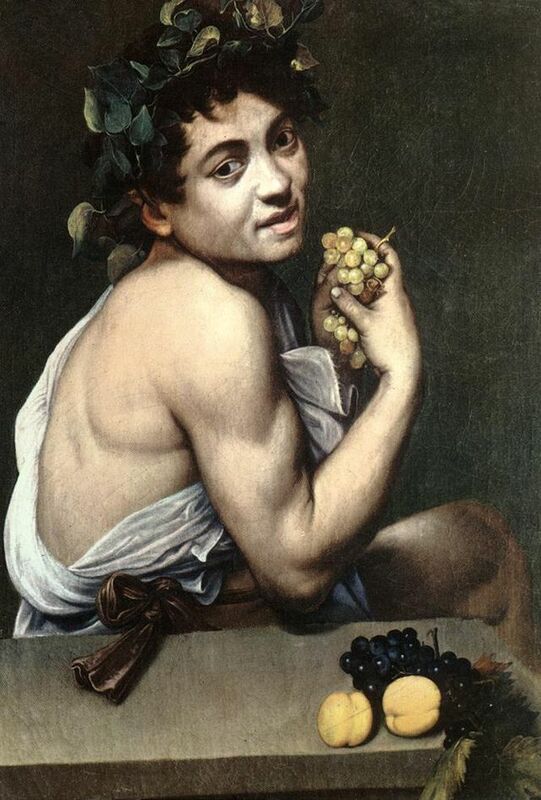 Caravaggio Bacchus is an oil on canvas painting dated 1596-97. 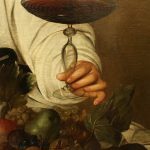 It was commissioned by Cardinal Del Monte, Caravaggio’s protector, to make it a gift for Ferdinando I Grand Duke of Tuscany, his friend and the man who helped his career. 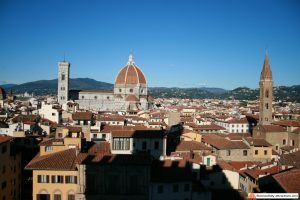 Placed in one of the Medici Villas, the work was then moved in the Uffizi collections, but was almost forgot and was found again only in 1911, in the Uffizi storage. Bacchus, the God of wine, is almost lying down on a triclinium like the ancient Romans used to do in banquets. Half covered by a sheet or tunic, he’s offering a glass of wine with his left hand. Vine leaves on his head arrange a sort of crown while a fruit basket and a wine decanter stand on the table. Caravaggio Bacchus is not idealized like generally happens for Greek/Roman Gods (see Botticelli Birth of Venus as an example). 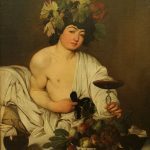 The painter wants to show the drunkenness of Bacchus, something that Michelangelo had already experimented in his Bacchus statue visible at the Bargello Museum. Caravaggio introduced a new realism, preferring to represent common people, even in mythological or religious subjects. His inspiration came from the street, where the restless and often violent painter lived. Most of his works, including this one, do not represent the landscape, focusing on the humanity of the character. 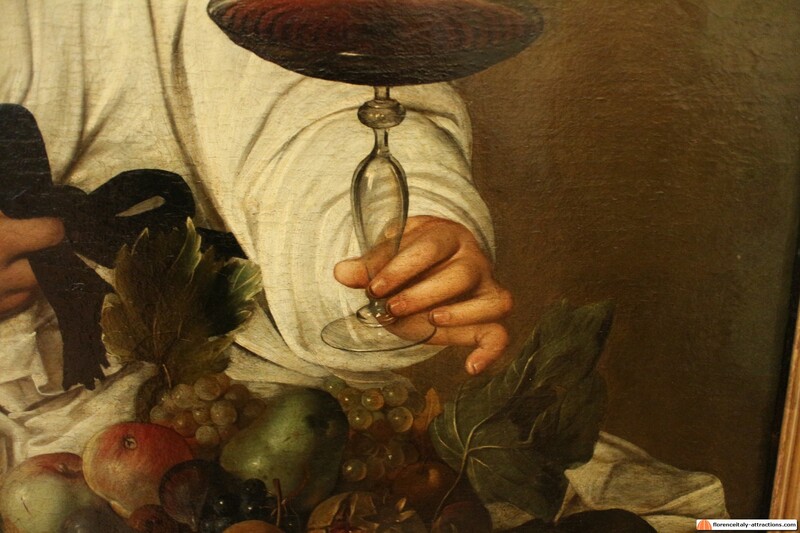 You must observe the painting carefully to catch all of this: the trembling hand offering wine, the dirty fingernails of Bacchus, but also the incredibly realistic transparency of glass. 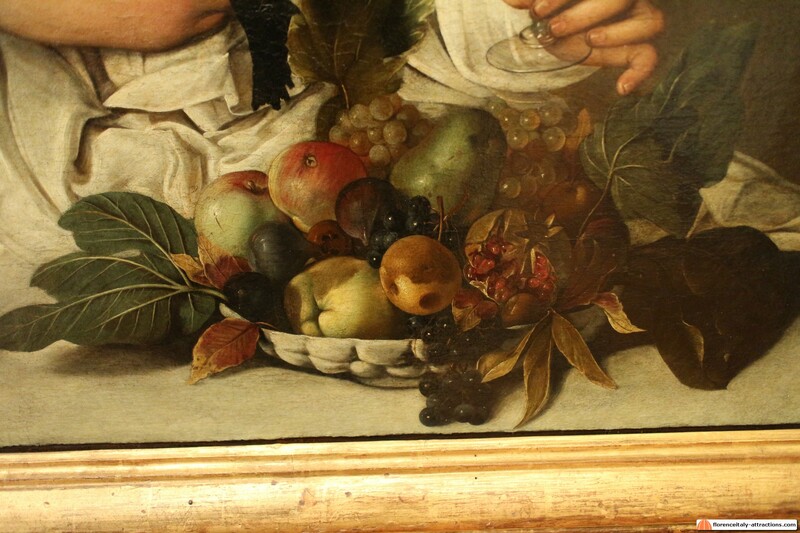 In the fruit basket is also something you wouldn’t expect: fruit going bad, probably more similar to what you could find in a humble kitchen than in a banquet of Gods. 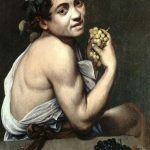 The fact Caravaggio Bacchus is offering wine with his left hand has been interpreted by many scholars as a clue of Caravaggio’s technique: using mirrors to project his models on canvas, although it might just be that the model was lefty. The model is unknown, possibly Caravaggio’s friend Mario Minniti. 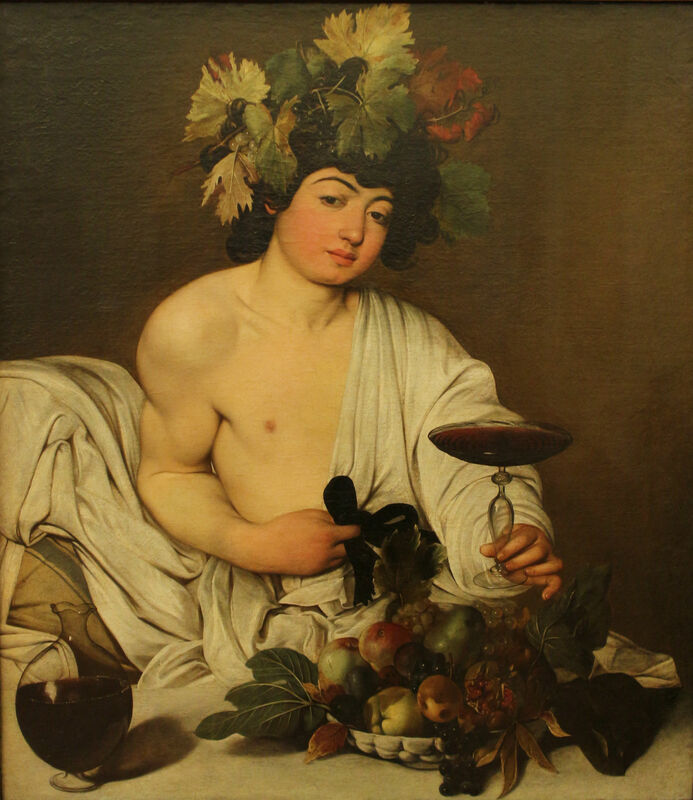 There is another Caravaggio Bacchus at the Galleria Borghese in Rome, also known as the Young Sick Bacchus, made in 1593-94, which is probably a self-portrait by Caravaggio.